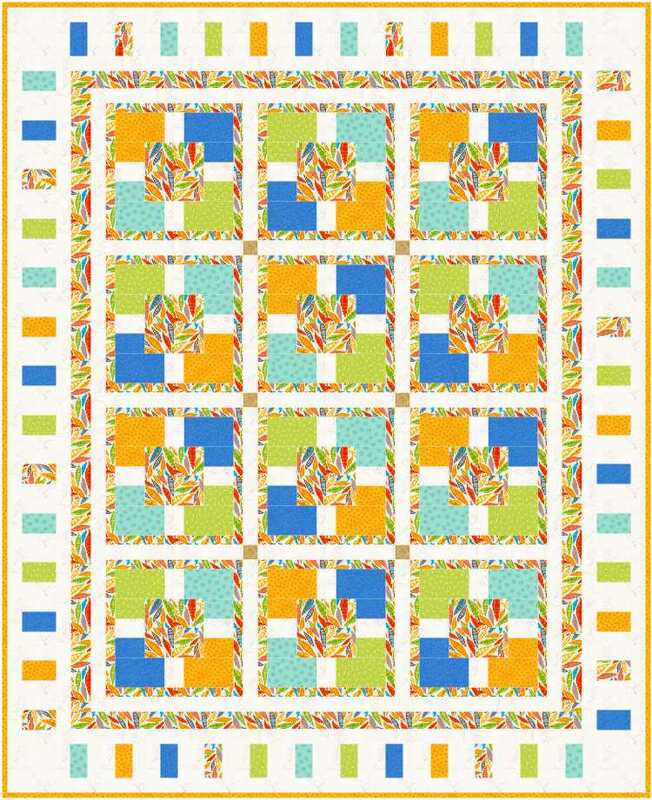 Five Square instructions will be posted in honor of National Quilting Day 2012. Check back on this page that day to get the instructions. This should be a pretty quick and easy project to make. The yardage estimates from EQ are linked below. I will be posting an abbreviated version of the instructions meaning they will not be step by step telling you how many strips of what size to cut and then subcut into pieces. The cutting and sewing instructions will be given to make one block. You will need to multiply out how many pieces to cut depending on if you make your quilt the size shown or make a larger or smaller project — of course you will need to adjust your yardage accordingly. The width and lenght of each border/sashing section will also be given for the quilt in the size shown, which measures 65″ x 80″ wiithout the binding. Binding and backing yardage are NOT included in the printouts. 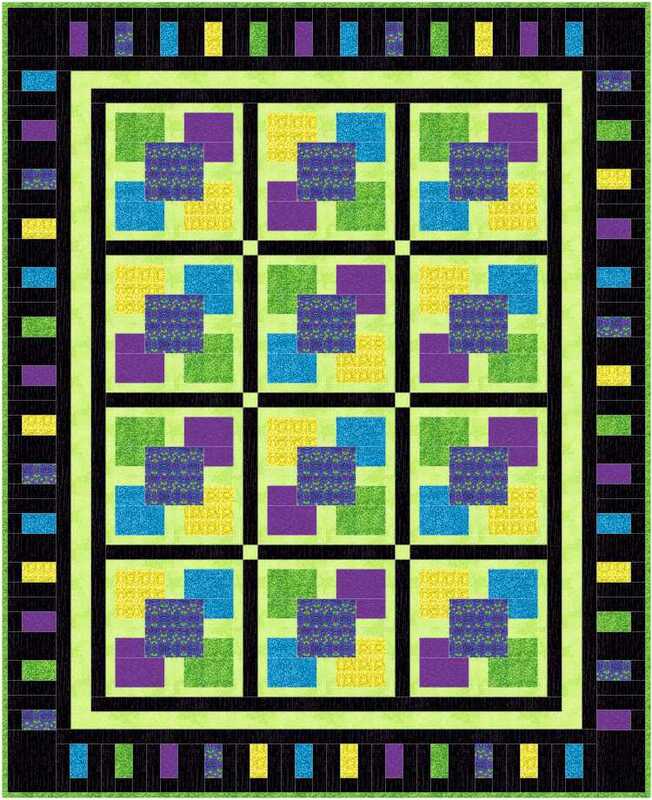 There is a difference between the light colored quilt and the other two darker ones in that the center square fabric is repeated in some of the borders/block sashing in the lighter version so two different yardage charts are below. I hope you’ll come back on March 17 to celebrate National Quilting Day but stitching up this project! Right click on the link below you want, save it to your computer, and then open it from the saved version on your computer. 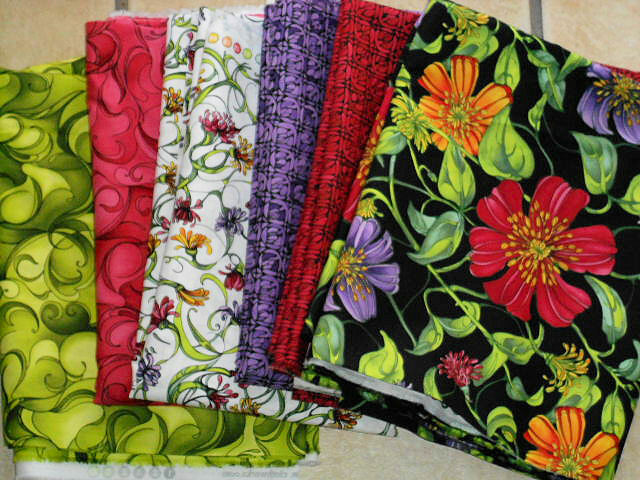 Here’s the fabrics I’ll be using for mine. 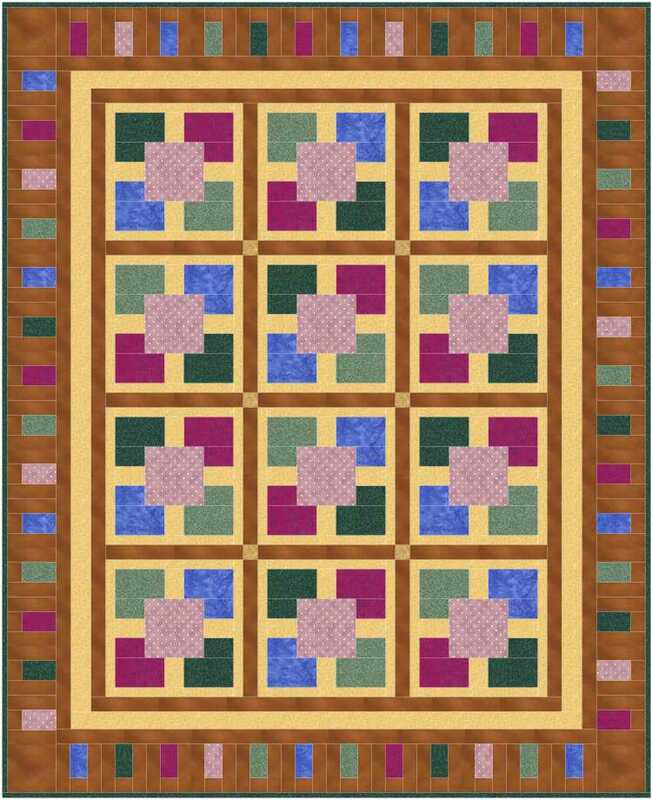 The large floral will be fussy cut for the center square of the 5 Square. If you want to fussy cut a design for that center square, it will need to fit into a FINISHED 6″ square. This is a great quilt. Fairly simple, yet looks very complex. Thank you, Denise. I love your choices of color and the simplicity of the design. I won’t be getting to this pattern today or for a few weeks as I’m prepping for a new job out of state…SO much to pack and the DH doesn’t quite see the value of packing my sewing machine, fabric & what-nots that I need for quilting…a.k.a. sanity. Such a silly boy! Thanks, Denise… very versatile pattern. Thank you Denise for sharing another lovely design. Thanks, Denise! It is on my to-do list. Thank-you sew much for sharing this pattern Love it !! Very pretty. Thanks for sharing with all of your fans.